Need new apps for your favorite device? Here are 88 iPhone, iPad and iPod touch apps that just hit the App Store. 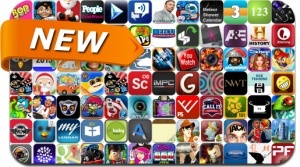 This new apps alert includes You Don't Know Jack, Scribble Hero, Mutant Fridge Mayhem, Wheel of Fortune, Megapolis, Battle of the Bulge, Football Manager Handheld 2013, Royal Envoy 2 and many others.